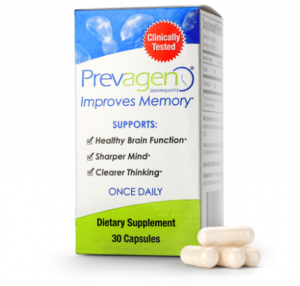 Prevagen is a brain health supplement that is intended to improve memory. The company claims clearer thinking, a sharper mind, and overall healthier brain function. A.C. Nielsen even went as far as classifying it as the number one brain health supplement in America (Prevagen, 2013). But does it really work? Can one pill really do all of this? Read on and discover what the Prevagen reviews reveal. While we all know that company reviews will always be skewed toward the positive there is still great benefit in discovering what they have to say. Companies have learned the power behind their customer stories and although it has huge marketing power it also lets potential new customers connect with real people. Just a few clicks into the Prevagen website you can find these types of testimonials. In one of the Prevagen reviews a woman talks about how you may not even realize that you are forgetting things. She revels that there is a tendency to want to hide this and goes on to say that she noticed changes as fast as three weeks into taking the supplement. Another Prevagen review discusses how things like forgetting to take your pills, setting the alarm, turning off the water, etc. were improved within no time. Let’s face it we could all benefit from a little memory boost. Prevagen reviews reveal more than just an improvement in memory, but rather a change in peoples lives. These touching stories on the company’s website shows real people faced with real challenges related to memory loss and how simple changes after taking Prevagen can make all the difference. While these Prevagen reviews are company based they can still often be the deciding factor of whether or not to buy the product. But what about what others are saying about Prevage? What about the real Prevagen reviews? Publicist and writer, Rain from Rain Dazed Entertainment, recently gave Prevagen a try. She discussed the importance of needing to stay sharp, having a good memory and recall as pivotal to her work. Kerrie, from the Kerrie Show, shares her experience as well. She says that it is difficult to know whether or not your brain is actually working better. “that said, maybe I felt a little more spring in my brain’s step for a while and was able to really go crazy on working on ebooks and writing creative and fun things. Maybe it lifted some of the fog…”. via The Kerrie Show: Could Prevagen Be My Brain Fog Lifter? If we go beyond the Prevagen reviews we discover the truth behind this wonder supplement. Essentially, it lies within the active ingredient – one that has been around for several years. Prevagen was discovered in 1962, in a species of glowing jellyfish. The apoaequorin protein, when bound to calcium ions, causes the jellyfish to glow. This calcium-binding protein is very similar to the age-fighting proteins in our body that decrease significantly as we grow older. Prevagen is a source of replacement for these proteins; its mechanism is basically to maintain calcium homeostasis, or balance. via The Second Thought: Prevagen — Improve Your Memory! So how fast does this wonder drug work? It generally takes 30-90 days to start benefiting from Prevagen, and to notice an increase in the function of your memory. There have not been any apparent drug-drug interactions, but it is always important to consult your doctor before mixing any medications (even supplements). Prevagen can be taken in conjunction with standard vitamin supplements, as it is not a replacement for these nutrients. via The Second Thought: Prevagen — Improve Your Memory! I think the biggest question really is whether or not we all need a little boost. Science tells us that as we age we are no longer able to produce the supply of needed proteins to adquately care for our brains. Hence, this will result in a depletion of brain cells which will directly impact on functioning, memory, and general brain health. For this reason, supplementing with these types of proteins is almost essential. Now whether or not Prevagen is the supplement of choice is clearly individual preference. However, I think it may be worth giving it a try. Watch the video and see how Prevagen words.